So the big news coming out of the 2019 Superstar Shake-Up is, as many expected, that Roman Reigns has been moved to Smackdown Live. It is a major strategic decision in beefing up the blue brand and increasing Tuesday night viewership before the blue brand’s big jump to the FOX network later this year. Creatively, it opens up a ton of possibilities. Reigns has loomed like a shadow over the Raw roster for a long time now. It immediately feels odd that the poster boy of WWE’s flagship show will, in fact, no longer be on the flagship show at all. Suddenly space at the top of the mountain has opened up wide, and there’s more than a few eager Superstars who would like to be the next “top guy”. Let’s break down the new Raw main event scene, starting with the most obvious factors first and working our way into possible scenarios and the unknown variables. We have to start with the WWE Universal Champion Seth Rollins at the top of the pack. 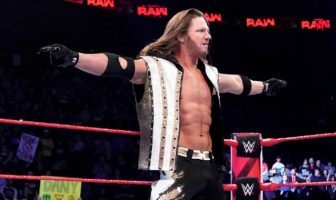 After legitimately downing Brock Lesnar at WrestleMania, the Kingslayer has firmly cemented himself as the top dog on Monday Night Raw; that is now especially true with Roman Reigns jumping to Smackdown. He’s easily the most popular male Superstar on the roster now, likely topping merchandise sales as well. Unless something drastic takes place, there’s no reason Rollins shouldn’t be the brand’s top babyface for the next year. Two other names sticking around are Braun Strowman and Drew McIntyre, who you have to assume will both be major players. They have been grooming McIntyre since he returned, keeping him just out of reach of the title picture so that it’ll feel fresh when he finally goes for the gold. If he’s not world champion by the end of 2019 I will be genuinely shocked. WWE has started and stopped on Strowman several times. It’s obvious they want him to be a top star, and his popularity is as strong as it ever was, but while sharing a show with Reigns and Lesnar, he constantly took third place in that scenario. It’ll be tough for him to be the top, top babyface with Seth Rollins as hot as he is right now, but he would be a great challenger for a future champion McIntyre. One last guy we have to mention immediately is AJ Styles. He’s one of the few talents where you can plug him in literally anywhere and it’ll be great. He is the ultimate utility talent. He can work a main event world title match in a second, but treats the midcard titles with no less respect or importance. Styles legitimately elevates everyone he steps into the ring with. The Raw midcard didn’t actually take a huge blow. Finn Balor and Elias are fairly significant losses, in at least that they are featured heavily on television every week, but the names coming in to replace them are more than sufficient. The real question is what happens with the Intercontinental Championships, which currently resides on Smackdown. The most obvious solution is having Balor drop the belt to a Raw star at this Sunday’s WWE Network live special, but they’ve done strangers things after Superstar Shake-Ups in the past. Another solution is to do a Champion vs. Champion match at the next pay-per-view, where the loser must leave the Smackdown brand, or perhaps the winner gets to choose where they both go. Whatever happens, it’s a little hard to tell what’s going on with the midcard in the more immediate sense, until one of the midcard titles returns to Monday Night Raw. Bobby Lashley is an obvious name. He just lost the Intercontinental title to Finn Balor at WrestleMania and could be the one to take it back. Rey Mysterio is more than likely going to be hanging around the title picture, and I don’t see Baron Corbin being any less obnoxious (or visible) in the next year, so expect plenty of him. That’s not necessarily a bad thing, as he draws incredible heat and can work with virtually anyone. Two more guys I want to focus on are Sami Zayn and Andrade. The former has been absolutely killing it in his promos since returning from injury, and I would be shocked if he’s not Intercontinental Champion by the end of the year. Now that he’s finally not on the same brand as Kevin Owens, I’m excited to see him break out as an individual and see how high he can actually climb. In terms of Andrade, I think everyone sees big things in that guy, and he’s got plenty of fresh match-ups in the new Raw landscape. In the wake of the Superstar Shake-Ups there are lot of unknowns and question marks, and that gets into some of my favorite possibilities for this new Raw roster. Two Superstars that have tremendous potential no matter how they are utilized this year are Ricochet and Aleister Black. WWE did an excellent job showcasing them as “free agents” over the past few months. While they didn’t win any titles, they were constantly put into great matches and given time to show off every single week, sometimes three times a week or more. They were EVERYWHERE, and they always looked fantastic. In terms of main roster debuts, you can’t really ask for a better result. I can see them sticking together as a tag team, but at some point you have to figure their long-term potential is in singles competition. It started out as such a random pairing, and there’s no real reason that it should work as well as it does, but god help them they have amazing chemistry. But once they do go the solo route, that could drastically effect the Raw landscape. I don’t know how long it’ll take to get him there, but Black is absolutely a future world champion. A newcomer to Team Raw that I’m excited to see more of is Cedric Alexander. 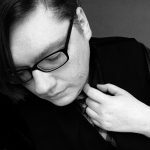 He has been the actual soul of the 205 Live brand since its inception, basically, and with a new wave of talents now taking over the show, Cedric is coming to the main roster full-time. I would love to see him given a legitimate shot at the midcard title. He’s one of the best wrestlers in the world. Period. 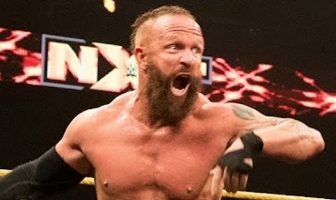 One name I’m really interested in is Eric Young. He’s technically been on the main roster for quite a while now, but we’ve seen almost none of him. Sanity was rarely used on television, and when they were Young was never utilized in a way where he stood out from the rest. Now they’ve got a chance to rebrand him however the want, maybe try something different, and just let EY loose. I’ve seen all of his work from TNA — that guy can get literally anything over. Finally, I’d really like to see Lio Rush break free this year. He’s got a great career beyond Bobby Lashley, and there are so many people I’d like to see him work singles programs with. Imagine Rush and Ricochet. Rush and Cedric. The dude is money on the mic, and is one hell of a wrestler. Let the kid go! Raw Finally Has a Tag Team Division! Holy moly did the Raw tag team division make out like bandits in the Superstar Shake-Up! The Usos on their own are a giant acquisition; arguably the greatest tag team in the world today, and more than enough to rebuild an entire division around. If The Revival sticks around, we’re in for some absolutely awesome matches. The hope is that WWE treats the (cringe) Viking Experience as legitimate tag team experts, and not do what they always do with these types of big brutes — turn a good wrestling act into an obnoxious characiture that makes it impossible for them to get over. Given the name VIKING EXPERIENCE, things aren’t looking great right off the bat. BUT if they’re utilized properly, a tag team division based around them, The Usos and The Revival could match any promotion on the planet. It’s probably also worth mentioning Hawkins & Ryder as they are the current Raw Tag Team Champions. But it’s hard to believe, based on history, that six months from now (hell, two months from now) both guys will still be heavily featured on television. I hope they are! They’re solid in the ring and know how to get a good reaction. I’d love to see them have a real serious run of things. If they stay together, Aleister Black and Ricochet have a very good chance of winning everyone’s Tag Team Of The Year awards. I still don’t understand why they’re a tag team, but I love it and I’m going to ride the wave for as long as it lasts. If they can manage to get the Authors of Pain on track, once they are both healthy, you’re looking at a very respectable tag team division. Oh, one more thing — PUSH THE FASHION POLICE! Becky Lynch is now the top star of the Raw brand, and for the first time she stands alone. No Charlotte to constantly overshadow her. Bayley is gone. Sasha Banks may be gone for good quite soon. No “Rowdy” Ronda as she’s apparently on some kind of #ConceptionVacation with her husband. This year is going to be about establishing a division around The Man. It’s very obvious WWE wants Lacey Evans to be a major star. On paper she is the total package — everything they’re looking for. I’m not sure how well she’s going to get over, or how the crowds will respond from week to week, but I think she has what it takes to make it. It might take longer than they want it to, but we’re certainly going to find out. You have to consider Alexa Bliss as a top contender. Even when she’s not wrestling she’s always positioned well on every single television show, and works her way into roles like the host of WrestleMania, and nearly becoming the full-time General Manager of Raw, according to certain reports. She’s a former champion, and for awhile she was dominating the Raw women’s division, before Ronda came in and changed the game. If Sasha Banks wants to stay, she’ll be a top player. If she doesn’t, she won’t be. It’s that simple. The Raw scene is absolutely perfect for her to come in as a top heel right now, and there’s no more tag team shackles on her. But hey, if she wants out more power to her. One major thing I want to point out is that Raw now has NO presence in the women’s tag team division. Nia Jax is injured, crippling their only remaining team for the rest of the year most likely. No more Bayley. Liv Morgan leaving means the Riott Squad is down a member, if they even stay together at all. That’s actually an interesting point. If the Riott Squad breaks up, we could finally get a legitimate Ruby Riott singles push. I’d love to see what Sarah Logan is capable out on her own as well. I firmly believe that either Superstar could win the Raw Women’s Championship and do an excellent job with it. They are two very big wild cards for this year. In terms of utility players, both Naomi and Natalya are two of the best. You can pretty much put them anywhere, with anyone, for any reason and they’ll made it look good. Both are good in a pinch for title feuds. I honestly wouldn’t mind either of them getting a real opportunity. Both should have a pretty good year on Raw. — THE REVIVAL vs. THE USOS: Put them in a Best-of-Five series immediately. No stupid storylines. No weird gimmicks. Just a series of incredible matches between two of the best tag teams in the world. You want to put tag team wrestling back on the map for Monday Night Raw? Book the series, find a way to throw the titles into the mix, and everyone will come out looking like gold. — SAMI ZAYN vs. RICOCHET: I love the idea of these two working a program together. Outside of the obvious factor of their matches being on a whole different level of existence, I think Ricochet and the connection he has with the fans would play great into Sami’s new character. 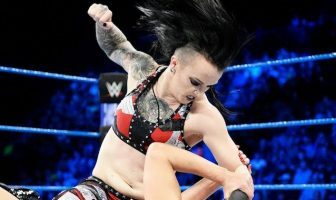 — RUBY RIOTT vs. LACEY EVANS: There is an excellent dichotomy between these two characters. The conservative, straight-laced, “sassy southern belle” against the punk rock badass with the wild hair, exotic tattoos and piercings. It’s classic, even. — ANDRADE vs. CEDRIC ALEXANDER: I think they could actually help elevate each other. Andrade is a solid heel with the potential to be a great one if the pieces continue to fall into place. Cedric is the eternal underdog character and a classic sympathetic babyface. You just WANT to cheer for him. — SETH ROLLINS vs. DREW MCINTYRE: These two locked up plenty of times last year for the Intercontinental Championship, but this time around it’s for the BIG TIME. Hopefully you’re not sick of this combo, because I have a strong feeling the Rollins/McIntyre rivalry is going to be a key story for a large chunk of 2019. — ERIC YOUNG vs. THE MIZ: I’m hopeful this year brings a totally rebooting Eric Young character, and that Raw writers are smart enough to take him seriously. EY is one of the most versatile stars the business has ever seen. He can get ANYTHING over. Run him as a heel up against The Miz, who is tremendously popular again at the moment, as something of a Gatekeeper that will prove whether Young has what it takes to move on to bigger and better things. — DREW MCINTYRE vs. BROCK LESNAR: Hear me out on this one… At some point, Drew McIntyre is going to become the world champion. It’s happening. They’ve been careening towards that final destination since the day he returned to the main roster. It’s likely he’ll be the one to take the belt off Seth Rollins. And if Brock Lesnar ends up re-signing with WWE, at some point he’s coming back for the title. What a better way to put McIntyre over as a dominant world champion than having him defeat the Beast Incarnate on a major stage? Strap a rocket ship to him! — REY MYSTERIO vs. THE LUCHA HOUSE PARTY: I have a crazy idea! Why not turn the Lucha House Party into a villainous faction built around Kalisto as their main star? The whole “Lucha House Rules” concept was heavily criticized and relentlessly mocked on social media, but if harnessed as an actual heel tactic, they could build some tremendous heat. Book them like a modern variation on Doink the Clown, meets the WCW LWO faction. Run them against Mysterio in a series of matches where he has to get through each of the thugs before finally getting Kalisto in a crazy high-flying lucha match at a pay-per-view. I mean, c’mon — why not?